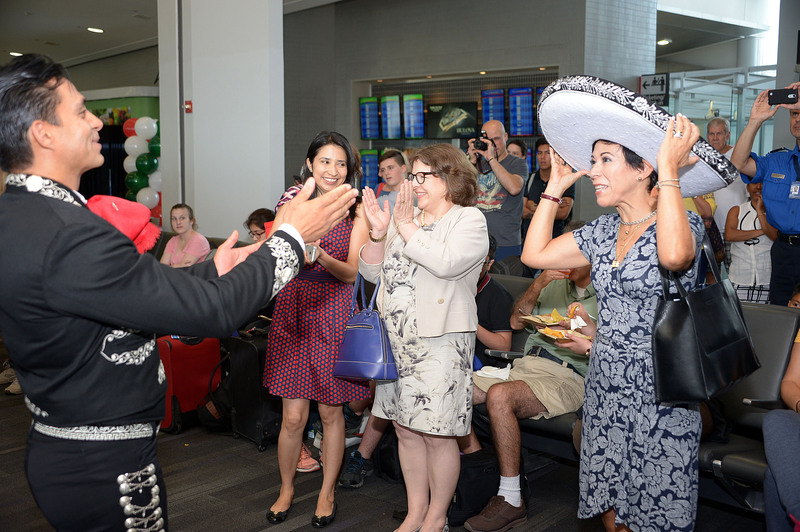 Walking through Terminal A-West at Gate A14 on Thursday afternoon, you might have noticed the sounds of laughter, Mariachi music echoing through the walkway, the smell of quesadillas in the air or balloons in the colors of the Mexican Flag. 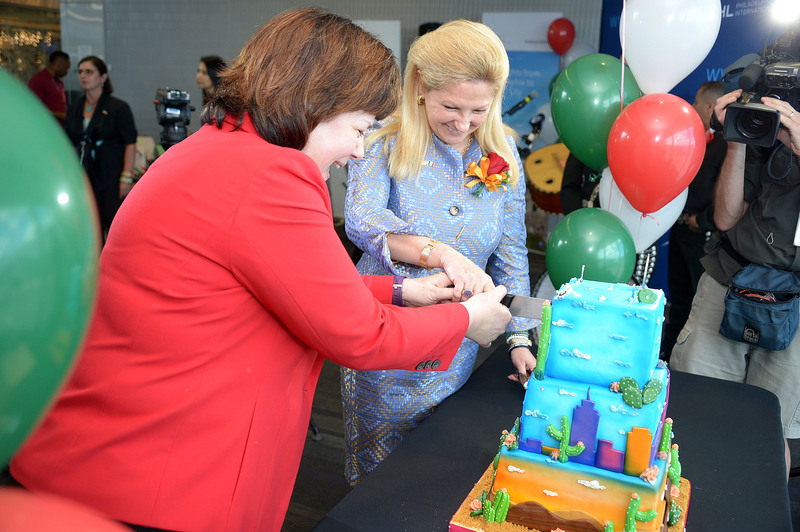 It was all in celebration of the inaugural flight of American Airlines number 497 leaving from Philadelphia International Airport to Mexico City. 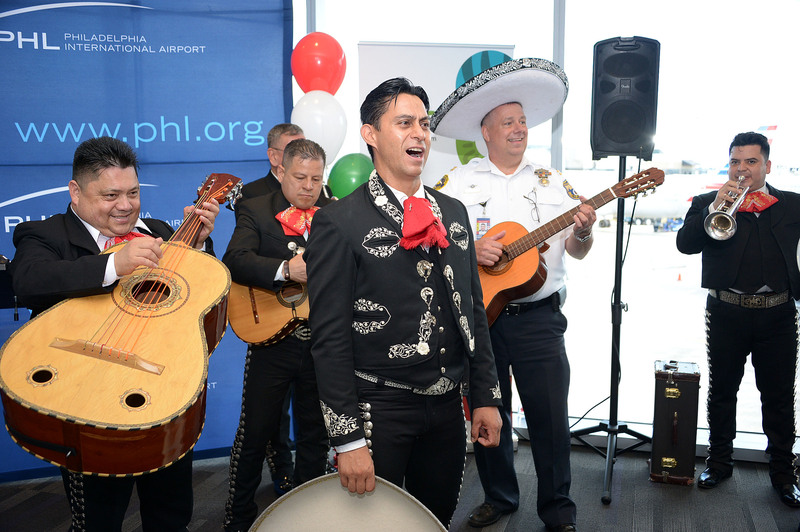 It is the first time in decades that there has been a nonstop flight leaving Philadelphia heading directly into the Mexican capital. 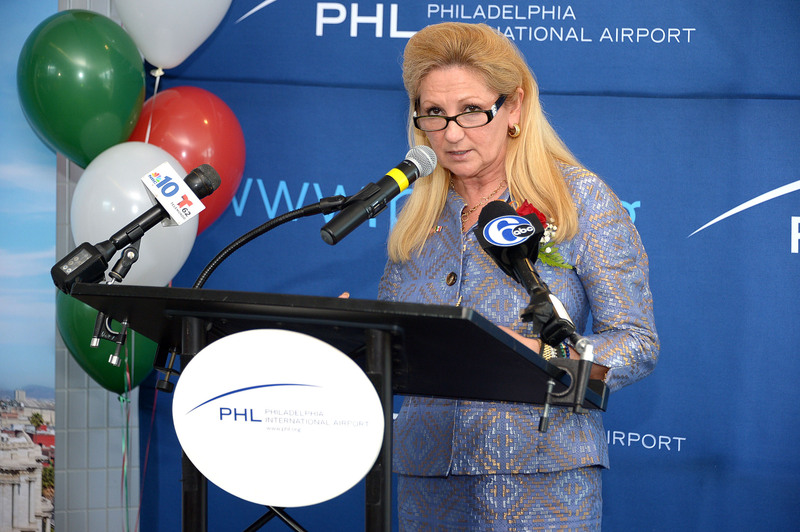 Rochelle Cameron, CEO of the Philadelphia International Airport, mentioned how the airport determines new direct international destinations. 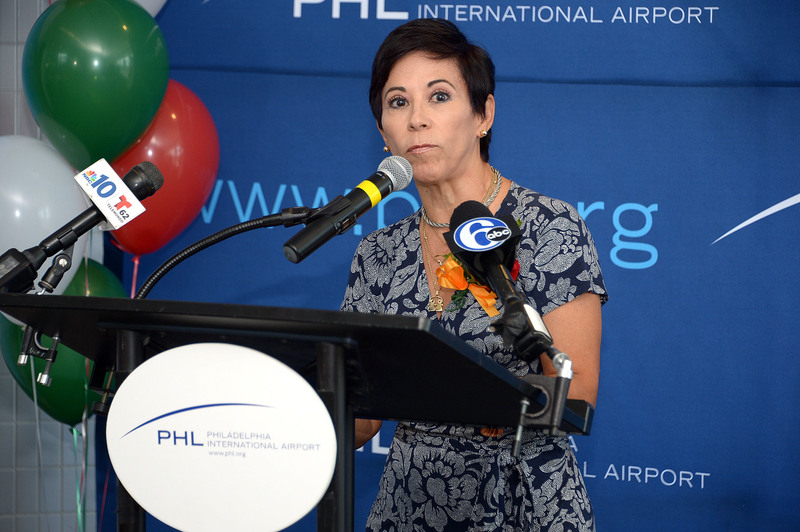 Alicia Kerber, Consul of Mexico for Philadelphia, feels that this service could be the springboard for more opportunities between the two cities. Kerber made clear that every year there are 20 million documented tourists from Mexico that visit the United States. This brings around $20 billion of spending power to the country. With all this celebration surrounding her, the recent actions of President Trump were not far from her thoughts. “When you visit Mexico, you will be more than welcome with your complete family. We will not separate you from your kids,” she said. 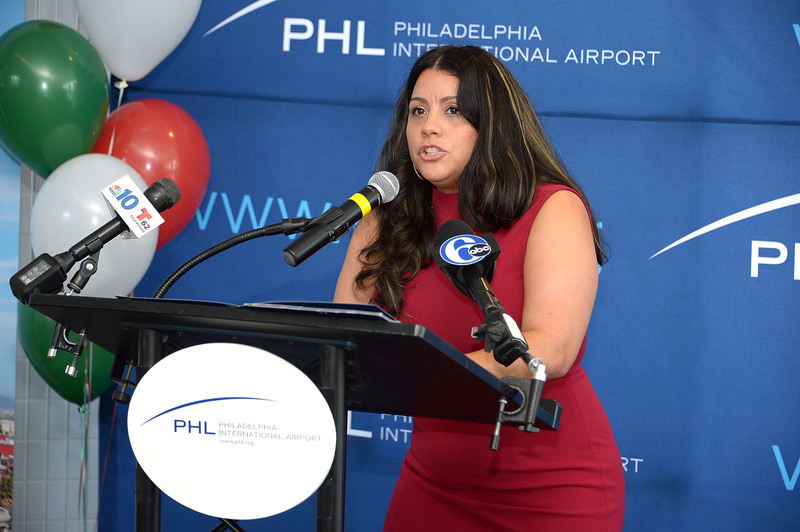 Councilwoman Maria Quinones-Sanchez believes that the timing of this service to Mexico City could not have been better. With all this fanfare, what did the passengers of this historic flight think? Ryan Baker & Mary Saxton had no idea this was taking place. They were just trying to get away from Philly for a few days. Saxton felt the mood today was a positive change of pace compared to the immigration protest that grabbed headlines the day before. Soledad Menchaca, a Drexel medical student from California enjoys the convenience of having a direct flight to Mexico City. Menchaca also felt that this event is a great change of pace compared to what she has seen on television over the last few weeks. The first flight of American Airlines to Mexico began 75 years ago on September 8, 1942, with a flight from Dallas, Texas to Mexico City. Mexico City was also American Airlines’ second International destination. There are over 1000 workers directly employed from Mexico by the airline. That is the highest number of employees hired by the airlines anywhere outside of the United States.